1>fence panel:plastic flim+wood/metal pallet 2>fence post:every post pack with a plastic bag(the cap is covered well on the post)+metal pallet 3>accessory:small plastic bag+carton box. 1. Sample can be offered free fast while courier fee paid by buyer's side. 2. We have full stock,and can delivery within short time. Many styles for you to choose. 4. Good Quality + Factory Price +Quick Response + Reliable Service is what we are trying best to offer you. 5. All of our products are produced by our professional workman and we have our high-work-effect foreign trade team. You can totally believe our service. 1. We will count cheapest shipped cost and make invoice to you at once. 2. Check quality again, then send out to you at 1-2 working day after your payment. 3. Email you the tracking no, and help to chase the parcels until it arrive you. 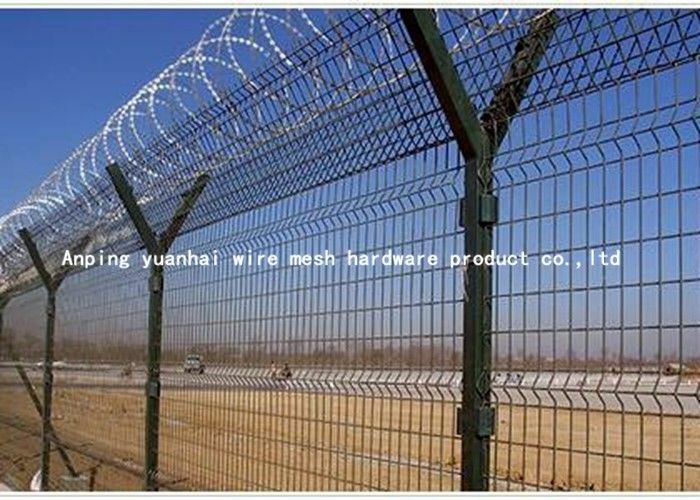 China Good Quality Security Metal Fencing Supplier. Copyright © 2017 - 2019 securitymetalfencing.com. All Rights Reserved.